Hang on because we’re gonna get you out of the fuzzy zone and bring clarity to the subject. You’ll learn how to make sure your website is primed for internet traffic with some of my biggest tips for internet marketing. My website optimization techniques will help you jumpstart your online marketing and get you to the top of search engine results quickly! Why is SEO so important? Because the internet is massively huge. You are in competition with millions of other websites. This means you must take extra steps to ensure that you don’t sink into a black hole in internet cyberspace and are never found. Look, it’s not enough to just put up a website and start blogging. You must be found. You want your higher rankings to show on Bing, Google and Yahoo as these are the three largest search engines on the internet. You can start by putting up regular content that’s relevant to the people you’re trying to contact and provide the information that they’re searching for. As you post this relevant information, you will intentionally add keywords (or keyword phrases) that your followers might be looking for. The more you use popular keywords, the more easily you will be found. Your goal then is to be at the top of the list in your category – or at least on the first page. When you search for something on the internet and that page comes up, you will see two different types of content. One is paid content (these are ads that individuals and companies have paid to be featured on that page); the other type of content is what we call organic. Paid ads (see the screenshot below) are at the very top of the page, on the side of the page, and a few are even at the bottom of the page. It will even say Ad, and be featured with a shaded background. All the other content on the page is organic (see the screenshot below). That means no one paid for it – they got to that position by using SEO strategies. The important thing to remember is that it’s not good enough to have your content found somewhere in the organic section – it must be on the first page of Google to have any valid effect. SEO helps you to position your content in a way that it shows at the top of the search engines. The great thing about being found organically through search engine optimization is that those results are more trusted. Statistics prove this because 85% of all website visitors click on organic listings and the other 15% click on the paid ads. We further know that not only do most people click on the organic listings, but the highest percentage click on the first three listings below those paid ads. Let’s look at another sobering statistic: 96% of all clicks occur on page 1. Wow! That’s huge. 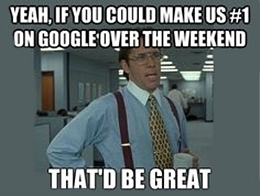 This is why learning about and implementing SEO tactics should be important to you. 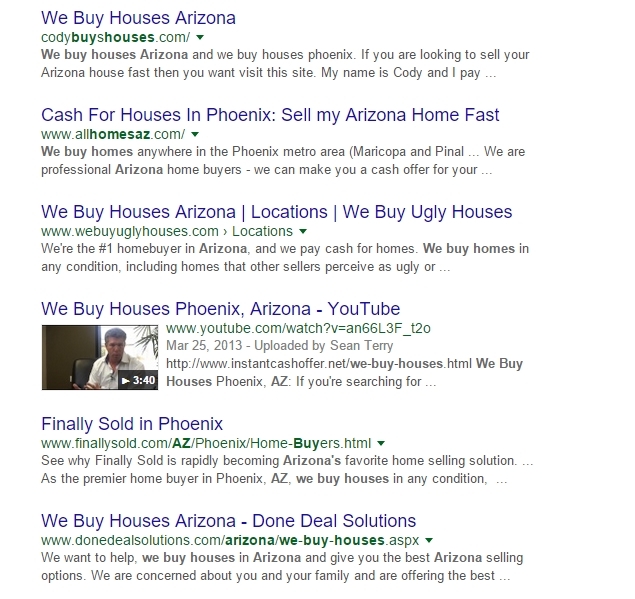 Using SEO and getting front-page listings costs you nothing. And once it’s up there, you’re getting free traffic consistently, and that’s really amazing. Make sure your pages are accessible and that there are no hidden pages. Be sure to link every page together. This makes the site easy to navigate. Everything about your site should be clear and accessible. Google encourages you to create your site pages for your visitors and not for search engines. A blog that is stuffed full of keywords just so it will rank is not natural. The visitor who reads it may be confused and frustrated, and will vow never to return to that site. The site should be easy to navigate – the visitor can move from the welcome page (or homepage), to the about page, to the contact page, to the blog page in a natural order. You don’t want the site to appear that it was designed specifically for search engine spiders – rather than a human being – to travel the website. So there you go. 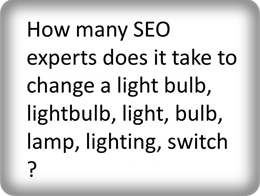 Didn’t I tell you SEO was simple? Once you begin to focus on the strategies of SEO, you’ll soon see your own listing on page 1 of the search engines, and maybe even in the number one spot. Coming up in my next blog post, I’ll continue the discussion of Outranking the Competition with SEO. I’ll be digging a little deeper by sharing with you a simple recipe for SEO.